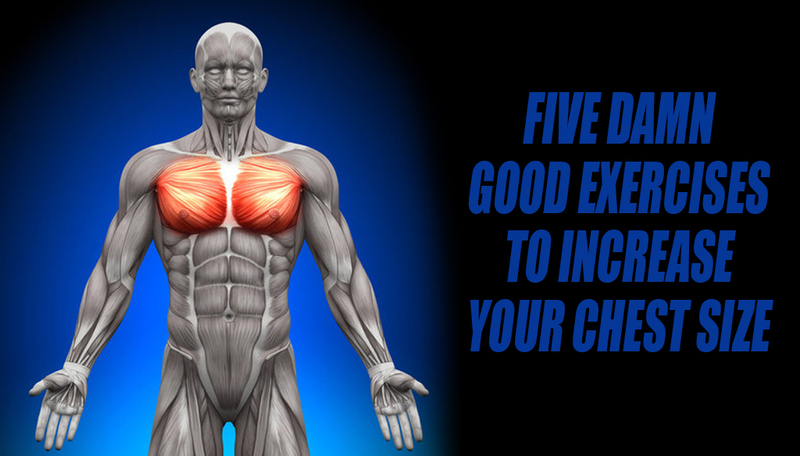 Every guy loves to work out chest – the pectorals are quick to respond to weight lifting, and they give us that instant recognition that we went to the gym and “worked out.” The day after a chest workout when we are sore, it is a constant reminder that you worked hard, and that you can still feel the impact of that workout. You know you worked out hard, and it feels good. There are many different exercises that can help to bulk up pectoralis major and minor – the trick is to find the exercises that are focused and easy to transition between. With this exercise group, three of them involve chest press, but at different angles (incline, decline and flat). Also adding in the fly exercise with dumbbells and some push-ups and you have a well rounded exercise group that can be modified based on available equipment and experience level. The chest press is a standard for anyone developing a strong, formidable chest program. This is a great exercise because you can change the angle of the bench, and it will change the muscle workout. Flat Chest Press – This is the typical chest press workout in which you lie flat on your back under the bar, lift it off of the rack, and allow it to slowly lower to chest level. You then push the bar back to arm extension, and repeat this movement until you hit your rep count, or you become too fatigued to continue. You will typically feel the burn for this exercise at the center of your pectoral muscle. Incline Chest Press – This is the same exercise as the flat chest press but it is performed on a bench this is moved to a sitting angle. The angle can vary based on comfort and ability, but however you change it, when you modify the chest press to incline you will feel more of a burn near the top of the pectoral muscle. Decline Chest Press – This exercise is also the same as a flat chest press with the bench at a declined angle down towards the floor. This modification will allow you to feel a stronger burn towards the base, or bottom of the pectoral muscle. Incline Dumbbell Fly – This exercise can be done on an incline bench with the bench anywhere from 45-60 degrees. Lying against the bench, ensure that your back and shoulders lie flat against the bench. Take both dumbbells and raise them above your chest with your hands facing one another. Move the dumbbells apart from each other outwards away from one another in a fly motion. Slowly return them together in front of the chest. Pushups – Most guys forget how versatile the push up can be – there are many variations of the pushup that can be adapted to your strength level. To start, lie on your stomach with your palms lying flat on the ground at your shoulders, and your elbows bent up behind you. Keeping your body straight, push your body away from the ground slowly, then return to the resting position slowly. This exercise can be modified by bring your hands close together under your body, by adding a weight on your back, or by doing them one handed. The push up is one of the easiest and fastest ways to improve the strength of your chest, and with even a little time to work out each day, anyone can add in 100 pushups during the course of a day when done in bundles of 10. The chest workout is fun for most of us – be cautious to give your chest a break in your exercise routine like any other muscle group. You do not want to cause an injury with over use.